Clemson Girl: Congrats 2013 Clemson Girl Graduates! 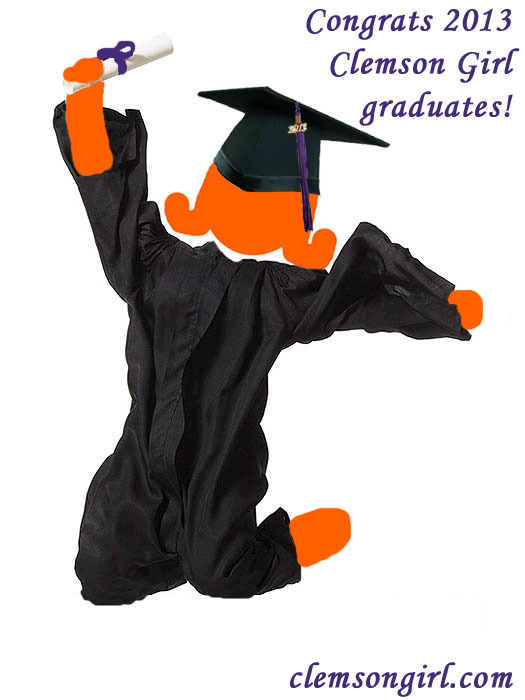 Congrats 2013 Clemson Girl Graduates! Can this be made into a shirt that says "Clemson Girl Alumni"?? (Non specific to the year though because I didn't graduate in '13!) I love Alumni gear! !